Peter graduated from the University of Southern California in 1995 with a B. Sc. in Biology. He entered the Molecular and Cellular Biology Ph. D. program at UC Berkeley the same year, and joined the lab of W. Zacheus Cande, where he studied meiosis in grasses (maize and rye). After obtaining his Ph. 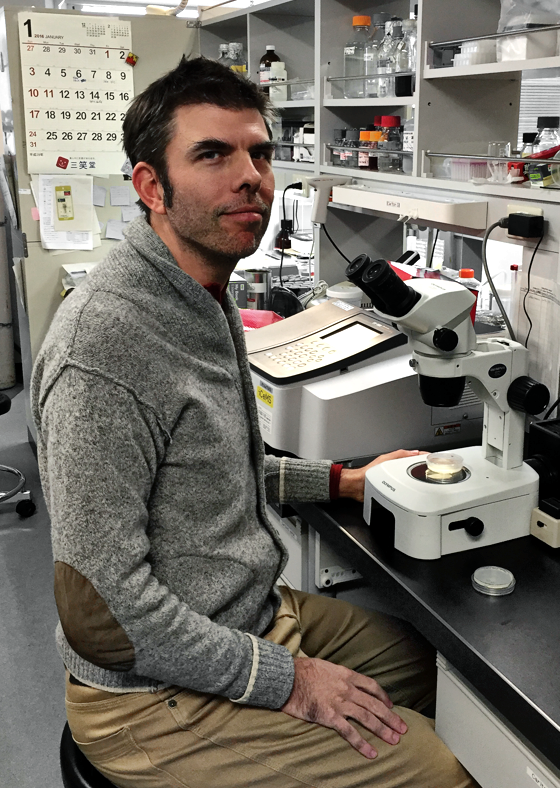 D. in 2001 he joined the lab of Abby Dernburg (LBNL/UC Berkeley) as a postdoc studying meiosis in C. elegans. In 2005, he joined John Sedat's lab at UCSF as a research associate, where he used the prototype OMX microscope and its capabilities of 3-Dimensional Structured Illumination Microscopy (3D-SIM) and fast live multiwavelength imaging for a variety of cell biological projects. In 2010, he joined the iCeMS institute of Kyoto University as a principal investigator, and started a research program focused on chromosome structure and dynamics in meiosis and in mammalian culture cells. In 2015, he joined the faculty of Kyoto University’s Graduate School of Biostudies with adjunct appointments in the Institute for Liberal Arts and Sciences and iCeMS.